Plants of medicinal values contain bioactive compounds capable of preventing and combating several oxidative related diseases. Many diseases have been wrongly attended to using several medicinal plants of choice by mere instinct or sunrise. The phytochemical screening, (antimicrobial activity of Costus afer extract and its alleviation of carbon tetrachloride induced toxicity were evaluated. The phytochemical screening of both qualitative and quantitative analyses showed the presence of Tannins, Steroids, Phenols, Phytate, Hydrogen cyanide (HCN). Saponin, Alkaloids and Flavonoids in the aqueous, methanol and n-hexane stem extract. The antimicrobial activity of Costus afer extract using two different solvents showed its bactericical effect and no antibiotic effect on fungi microorganisms at different concentration. The study based on the toxicity of the substance, carbon tetrachloride showed the serum elevation of alanine aminotransferase (ALT, EC 2.6.1.2. ), aspirate aminotransferase (AST, EC 2.6.1.1) and alkaline phosphase (ALT, EC 3.1.3.1) in the liver of the rabbits in response to the oral administration of the chemical. The rabbits fed with the Costus afer extract of methanol and N-hexane showed a moderate effect while the rabbits fed with the chemical carbon tetrachloride had a very high elevation on the enzymes. The rabbits, however fed with both the Costus afer and the chemical compound, carbon tetrachloride showed a considerable alleviation on the level of toxicity of the chemical. The rabbits fed with the Costus afer extract and the chemical carbon tetrachloride mixture statistically showed significant (p<0.05) difference between the treatment and their liver enzymes. This indicated that biological active compounds of Costus afer are more polar and could serve as a source of bioactive compounds for nutrition and therapeutic purposes. 1. Anago, A.O, Njoku, C.J. and Asuzu, J.U. (2004) Investigation of the Methanolic leaf extract of costus afer for pharmacological activities in vitro and invivo. Journal of Phytomedicine II. 242-243. 2. Arara, D.R. and Arora B. (2008) Textbook of Microbiology, 3rd edn. CBS Publishers and Distributors, India, Pp 213-350. 3. 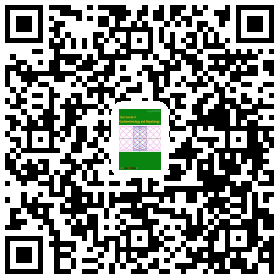 Anyasor, G.N, Ogunwenmo K.O, Olatunji, A.O and Blessing E.A (2010) Phytochemical Contituents and antioxidant activities of aqueous and Methanol stem extracts of costus afer. Ker Gawl (Costaceae) African Journal of Biotechnology 9. (31) 4880-4882. 4. CLSI (2014) Performance Standards for Antimicrobial Susceptibility testing, Twenty-Third information supplement CLSI document, m100-323 Wayne PA Clinical and Laboratory Standards Institute. 5. Doherty, R.E (2000) A History of the Production and use of Carbon Tetrachloride. Tetrachloroethylene, Trichloroethylene and 1, 1, 1-Trichloroethane in the United States: Part I –Historical Background; carbon Tetrachloride and Tetrachloroethylene” Environmental Forensics I (1) 69-81. 6. Harborne, J.B. (1973) Methods plant Analysis in Phytochemical Methods Chapman and Hall, London. 7. Harborne J.B. (1998) Phytochemical Methods: A guide to Modern Techniques of plant analysis 3rd edn. Chapman and Hall, International Edition, NewYork Pp. 26. 8. Hazan, A.G. and Atta, R.. (2005) Trends in Etho Pharmacology., Journal of Eth Ethno Pharmacology 100. 43-49. 9. Igbinosa, O.O, Igbinosa, E.O. and Aiyegoro, O.A (2009) Antimicrobial activity and Phytochemical Screening of stem back Extracts of Jatropha curcas (cinn) African Journal of Pharmacology 3 (2) 58-60. 10. Kennedy, D.O, Weightman, E.C (2011) Herbal Extracts and Phytochemical plant secondary metabolites and the Enhancement of Human brain. Adv. Nutrition 2:32-50. 11. Nyananyo, B.L (2006) Plant from the Niger Delta International Journal of Pure and Applied Sciences 3 (4): 21-25. 12. Obadoni, B.O and Ochuko, P.O (2001) Phytochemical studies and comparative efficacy of the crude extracts of some homeostatic plants in Delta State of Nigeria. Global Journal Pure and Applied Sciences 8:203-208. 13. Odabasi M. (2008) Halogenated volatile organic compounds from the use of chlorine Bleach-containing Household products” Environmental Science and Technology 42 (5) 144. 14. Okwu, D.E and Okwu, M.E (2004) Chemical Composition of Spondias Mombim Linn Plants Parts. 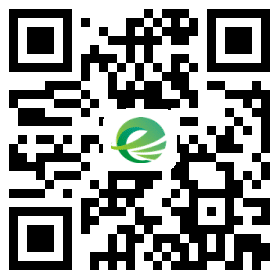 Journal of Sustainable Agriculture and Environmental 6:140-142. 15. Okwu, D.E (2005) Phytochemicals, Vitamins and Mineral Content of two Nigeria medicinal plants. International Journal of Molecular and Advance Science 1 (4) 375-380. 16. Owoseni, A.A Ogunnusi (2006), Antibacterial effects of three selected chewing sticks extracts on lactobacillus spp. International Journal of Tropical Medicine 1 (3) 103-106. 17. Prescott, LM et al (2005) Microbiology 8 Edition. Mc Graw Hill Higher Education pp 150-151. 18. Reeknagel, R.O, Glende, E.A., Glende, Dolak and Walter E. (1989) Mechanism of Carbon-tetrachloride toxicity” Pharmacology Therapeutics 43 (43) 139-143. 19. Sofowara (1993). Medicinal Plants and Traditional Medicine in Africa Spectrium Books, Ibadan, Nigeria pp 150. 20. Trease and Evans, W.C (1989) A textbook of Pharmacolognosy 12th edn. Bailliere Tindadi London pp 388.